The Day of Our Lord's Death. 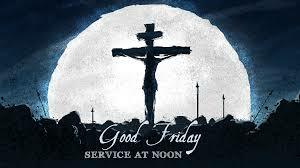 There will be an interactive narrative reading following the events of the passion as well as prayer and confessions Friday afternoon from 12-3 p.m. There will also be stations of the cross Friday evening 7:30. All are welcome.